Essential oil is the essence of a plant, the "juice" extracted from the leaves, blossoms, stems and roots of flowers, herbs and trees. If you've ever squeezed the rind of an orange and produced a few drops of liquid, you've extracted the essential oil of the orange. 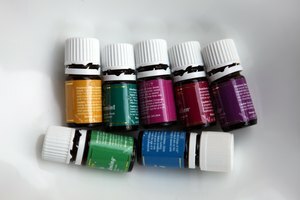 Essential oils have been used for millennia to treat medical conditions, illnesses and ailments. Two of the conditions that respond readily to the use of essential oils are sinus problems and ear aches. Ear aches most commonly occur when the Eustachian tubes connecting the nose and ear get blocked. Such blockage usually occurs as a result of colds, bacterial infections, sinus infections, or excess fluid or wax in the ear. One of the most common causes of an ear ache is blowing the nose by blocking off one nostril to force more air through the other nostril. This often forces mucus to back up through the Eustachian tube back into the ear. A doctor then has to actually puncture the ear drum to prevent the ear drum from rupturing due to the pressure behind the ear drum. A much better choice would be to use an essential oil to naturally dissolve the congestion. A common treatment for ear aches is to put a few drops of warm oil into the ear canal. One recommendation is to use olive oil, and since olive oil is a natural anti-inflammatory, it may actually help to reduce inflammation of the tissues. Other oils or plant juices recommended are onion juice, the juice from mango leaves, mustard oil and a mixture of garlic in sesame oil. A remedy for ear aches used by aromatherapists is a blend of several essential oils blended in a carrier oil. To 1 tbsp. of almond oil, add lavender essential oil (2 drops), chamomile oil (2 drops) and tea tree essential oil (3 drops). Lavender boosts the immune system and causes the sinuses to drain; chamomile oil is a natural anti-inflammatory; and tea tree has antiseptic and anti-fungal properties. A couple of drops of this blend, warmed and dropped into the infected ear, is said to be a good remedy for ear aches. The sinus cavities are part of the respiratory system and allow air to circulate via the nasal passages. When the sinuses become blocked due to a cold or sinus infection, the result can be intense pain and pressure behind the eyes. Smoking can also lead to chronic upper respiratory allergies and postnasal drip. Allergies, hay fever and dental infections can contribute to sinusitis. Essential oils have been used quite successfully in treating painful sinusitis. Certain oils and combinations of oils work to open nasal passages, reduce the swelling of nasal tissues, clear up congestion and reduce the pain. The most common oils used for sinus problems are eucalyptus, cedarwood, marjoram, peppermint, rosemary, tea tree, thyme, pine, ginger and lavender. Some of the oils have an expectorant effect that helps to break up congestion and expel the mucus. Others are antiseptic and fight infection or stimulate the immune system. One of the best and fastest sinus headache remedies is lavender. Putting just a touch of lavender oil above each eyebrow and on each cheek bone (the sinus points) can relieve a sinus headache within a matter of five to 10 minutes. The same treatment is also effective in immediately stopping sinus drainage, especially the type that starts as soon as your head touches the pillow, making you cough when you are trying to go to sleep.